I’ve always been a mixtape junkie. I’ve been making them since I had the ability to press the buttons on a cassette recorder. My first mixtape was a compilation of music from the Power Rangers movie, the theme to Ninja Turtles, “Everybody Dance Now” by C&C Music Factory, and some Pearl Jam song that I liked. I made it by taking a portable tape recorder and holding it up to a stereo. I made many tapes like this. On some you can hear my little brother screaming, or a vaccum running in the background. But they were great. In recent years I have moved format to the CD or the mp3 (although I still rock the cassette myself now and then). So when I found out that their was a website that you could upload a mixtape to, and it would play for your friends without ads or membership, I was ridiculously psyched. 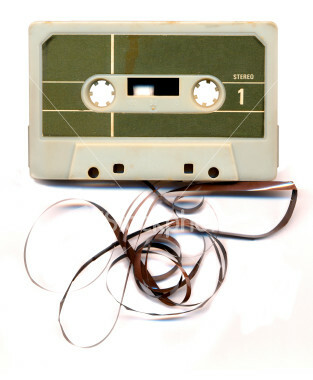 But when I went to log on to my Muxtape today I was met with disappointment. Muxtape was apparently forced to shutdown earlier this week to resolve issues with the RIAA. You couldn’t download from their sites. You could even buy the songs you heard. Why does the RIAA hate all the pretty things? DJ Muggs & Planet Asia - Pain Language The Mixtape.